I am part of the organizing committee for the social media learning and sharing event. If you would like additional details, feel free to reach out and ask. This is where I go to learn what is or isn't working in the social media world. Tickets are $45 today, $50 tomorrow, or $15 for students. Holyoke is only a 90 minute drive! If you're an absolute beginner (or nearly so), we have sessions for you. It's an unconference for everyone, at every stage of the game. If you have experience or tips to share, your bringing that to the community is what fuels PodCamp. Help facilitate a session or just schmooze in the hallways. It's all valuable. Meet others who are on the path with you - running a business, starting a new one, doing community work, or just learning how to get the word out better. We're all in this together! Hang out and make friends. Seriously! This is an event that has the super-power of attracting the nicest people. We don't know quite why....we just know it's true. Did we mention the food? Your ticket price includes coffee in the morning, a delicious healthy lunch and happy hour snacks at our 4:30 gathering at Slainte. So, no need to pack a lunch, just grab your laptop, a smart phone, tablet or a pad of paper. If you already bought your ticket, we can't wait to see you! And because sharing is caring, please forward this to a friend or colleague who should be there with you! If you have any questions, just hit reply. We'd love to hear from you! 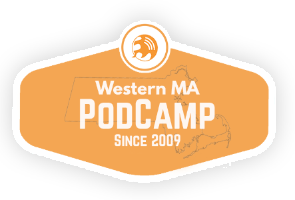 Copyright © 2018 PodCamp Western Mass, All rights reserved.